At Bend City Yoga we offer a variety of classes to suit our students needs at our studio in the heart of Downtown Moncton, New Brunswick. Whether your just starting to explore the world of yoga, or an experienced practitioner we have something for you. Our instructors provide basic posture breakdowns for students as well as options to advance for yogis looking to deepen their practice. Gail started her yoga journey while living in Vancouver, BC in 2009. After trying her first Bikram class, she was instantly hooked! After a few years practicing Bikram yoga in Vancouver she moved back to Moncton to be closer to family. She started practicing on a daily basis and loved the wide range of styles and free flowing classes that yoga offered. After practicing for a few years and taking extra workshops Gail's interest peaked and she finally decided to get certified. She travelled to Koh Samui, Thailand to obtain her 200 RYT Hot Teacher Training certificate through Absolute Yoga Academy. In February of 2017 she decided to open Bend City Yoga in downtown Moncton. She is a very hands on instructor always offering assists and adjustments in every class to help her students grow and gain the most benefits in their practice. Gail also founded Breathe Yoga Fest with friend Cathy Manuel in 2017. They have been hosting an annual yoga festival in summer and pop up events throughout the year since. She has since obtained her E-RYT200hr having taught over 3000hrs of yoga. She plans to expand Breathe with overseas retreats as well as Teacher Trainings. Her passion for yoga continues to grow as she believes that there’s no “ultimate yogi” only room for growth within the body and mind. "It's so rewarding to see others benefit through their practice. Yoga has changed my life in so many positive ways and I can only hope to pass that same joy onto others." Josette is from a fitness background and has been a fitness instructor for over 15 years. She was first introduced to yoga by a friend, and started practicing more seriously in 2012 and found that the more frequently she attended classes, the more she yearned for something deeper out of her practice. After receiving her 200 hrs certification from Yoga Inc. in May of 2015, Josette went on to teach Hatha style yoga with special interests in basic alignment and yoga assists. She hopes for students to leave her classes feeling deeply connected to their bodies, and most of all – Alive! Our resident tekkie, Kristine initially started her yoga practice in 2001 to help calm the mind, to cope with stress, and help with sports injuries. After being sidelined by a motorcycle accident in late 2013, she realized that she needed to start a new chapter in her life, and was drawn even more intensely to yoga. Having been on and off the mat for the over ten years, and with experience in teaching various sports, yoga seemed like a natural choice, and a perfect opportunity to help others. Kristine completed her 220 Hour Hatha Yoga Teacher Training in May 2015 with Ruth Richman of Yoga Ink, and her 100 Hour Yin Yoga Teacher Training in August 2015 with Stephanie Calhoun of Satori Yoga. She has also completed both Levels 1 & 2 of Thai Yoga Massage with Lotus Palm in Montreal, as well as Child Play Yoga with Gurudass Kaur, and Barre Training with Brittany Lavigne of Barre Essentials. Tracy began practicing yoga in the early 2000s to supplement her exercise regime. An avid runner at the time, she struggled with injuries and discovered yoga helped immensely. In fact, the more she did yoga, the stronger she became. An added benefit to her regular yoga practice was an improvement in her overall well-being. She eventually grew into a yogi who runs, as opposed to a runner who does yoga. 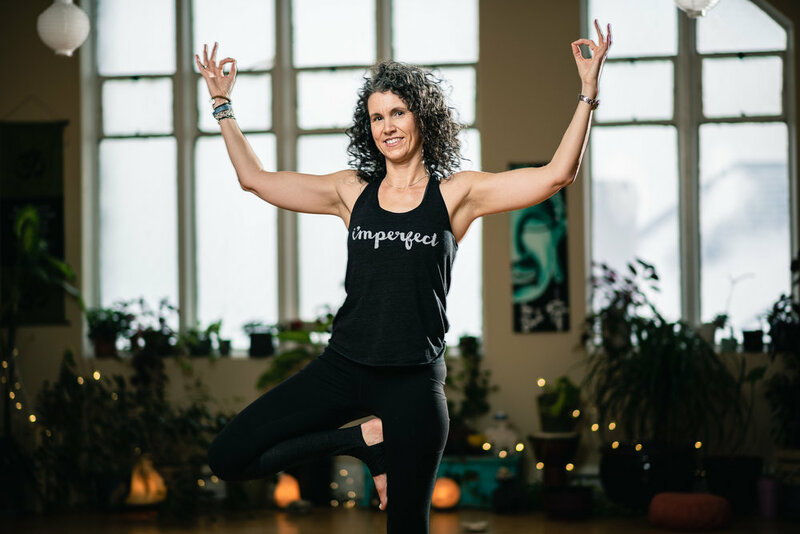 Tracy’s love of yoga persisted over the years until finally in 2014, she enrolled in a YTT training program with Yoga Ink (PEI) where she graduated with a 220HR certification. She has experience teaching Hatha, Hot Yoga, Vinyasa Yoga and HIIT Training. Tracy is excited to continue teaching with Gail and the other instructors at Bend City Yoga. She also looks forward to sharing her passion for yoga and health with her students. Since finding Yoga at the age of 18, Lisa's life both on and off the mat has been characterized by stretching the boundaries of the body, mind, and connection to the universe both home and in her travels. Amongst other romances for life, degrees in loved subjects, her passion for yoga took her to India in both 2012 and 2018 to deepen her practice through a Yoga Alliance teaching certification from the home of yoga in Rishikesh, Northern India. 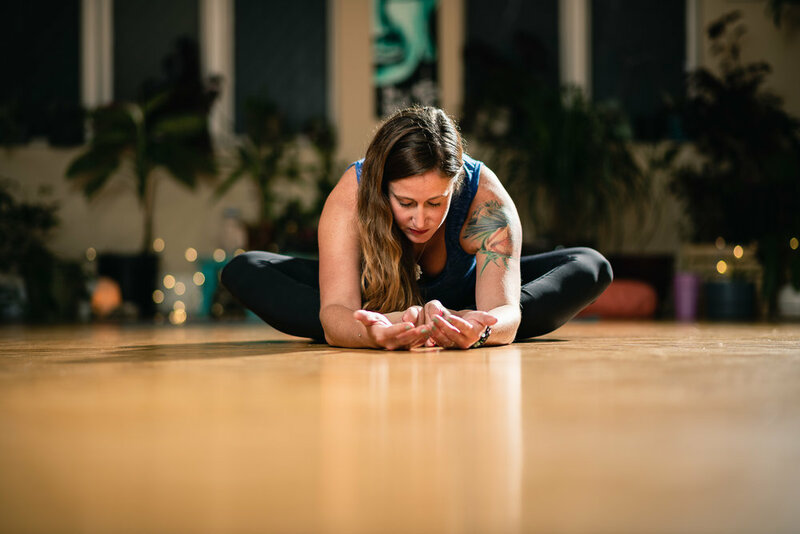 Lisa is an EXP500 teacher at BendCity Yoga in Moncton NB, and shares her practice throughout the east coast by teaching workshops at festivals in the summer. Lisa encourages her students to ask her questions about the theory and practice of yoga both physical and spiritual both in class and online. She is passionate about helping her students build a home practice as well as sharing it in the studio. Don't hesitate to reach out. Stu is passionate about the practice; the connection, the compassion, the awareness that yoga can, and does, bring him and others every day. He loves yoga, and wants to spread his love. Stu’s intention is to create a safe and comfortable environment for students to experience the benefits of a balanced yoga practice. With a strong emphasis on a rhythmic breath, healthy alignment and attuning to body wisdom, his aim is to guide students into a deeper awareness of intelligent movement as a meditative art. Stu completed his 200- & 500-hour yoga teacher training while living in India. He also completed his 200-hour Acroyoga teacher training in Montreal. Danika’s yoga journey began in January 2017 when she travelled to Koh Phangan, Thailand for a spontaneous 200hr Teacher Training from Spiritual Yoga School. She was hoping to gain knowledge for a personal practice, though she never expected to fall in love. In the short amount of time, something changed and she found herself digging deep in a daily practice. Her lifestyle took a turn as she began to embrace the 8 limbs of yoga. In December 2017, Danika decided to share her teachings for the first time. She then left for travels and experienced Costa Rica’s Envision Festival where she got to learn from some of the greatest yoga teachers in the world. Though her journey is fresh, she continues to learn and evolve every day as a student and as a teacher, always and forever leading with the heart. Cathy went to her first yoga class 12 years ago and declared it wasn't for her. Throughout the years she randomly went to try other classes with friends, but only began to understand its power in 2013. She had begun to prepare for her first triathlon and yoga was part of the group training regime, meant to assist with both mental and physical stamina. Once she began to see major improvements in both arenas, she was hooked. For Cathy, yoga is one of the few activities that offer a reprieve from a noisey (ADHD) brain. It guides her into a place of peace, focus, trust and stillness, providing quiet moments for the body, mind and soul. She wanted to share this freedom with others and in January 2018 she travelled to Nicaragua and received her 200 hour YTT from Shanti Yoga. Cathy enjoys teaching Vinyasa and Hatha to students at Bend City Yoga. She also wants to spread her love of yoga to the entire community and beyond, through Breathe Yoga Festival. An event she co-founded with studio owner Gail Collins in 2017. MY GOAL: HELP YOU SLOW DOWN. ONE YOGA CLASS AT A TIME. With a natural desire to help, and a desire to cultivate awareness, Vee completed 200 hours of Yoga Teacher Training (2008) from The Rama Lotus Yoga Centre in Ottawa, Yin Yoga (2009) and Power yoga (2011) from Mark Laham in Ottawa. She has been practicing, growing, sharing ever since. She also completed Reiki Level 1 and 2 in 2016-17 and just finished an online Restorative Yin teacher training with Mark Laham also. Aside from yoga, Vee adores her dog Frank. She loves creating/making everything. She writes & draws, grows plants and vegetables, obsessed with crystals & gemstones and loves cooking and everything related to living a healthy lifestyle. She continues to learn and grow through her personal practice and most importantly she loves to share that with others. Dave first stepped on to a yoga mat ten years ago and was immediately drawn to the freedom of movement and emotion it provided for him, realizing how yoga could transform the mind, body and spirit he knew he had found a home. Additionally yoga provided somewhat of a healing process from the rigors of being a Martial Artist. Dave currently holds a third degree Black Belt in a very physical style of Karate called “Kyokushin” which translates to “ The Ultimate truth “, "I see the similarities between both activities, Yoga and Karate both sync body and breath to movement, both welcome practitioners’ with open arms and minds with no expectations attached . Yoga and Karate are very Individual activities which allows for growth in body and spirit. My main goal in both activities is to have fun, yes I know I feel the benefits both mentally and physically, but for me personally, moving and challenging the body is something I cherish every day." Having completed Yin training in 2015 100 hour YYT under the tutelage of Stephanie Calhoun and just recently completing a 200 hour YYT in Baja Mexico (Yandara Yoga School) and most recently April 2018 Dave completed a vinyasa flow with movement training with specialist Amy Murphy. Dave wants people to get on their mats for whatever reason they choose and to know that there is a universal love in yoga for everybody no matter their background or experience. Dave will engage you physically and mentally in a fun and challenging class, you may just see him dancing as he guides you through a class. Flora Meteora has been on a yogic journey since she was a teenager. After trying yoga at a downtown studio in her hometown when she was barely old enough to sign her own waiver, she was immediately fascinated by the physical and mental strength she gained on and off the mat. Since then, she’s invested a decade in her practice, and in 2017 was lucky enough to train one-on-one with three different teachers in Rishikesh, India. With this, she became a certified 200-hour yoga instructor, specializing in Hatha and Ashtanga. Aaron Murray is a Registered Massage Therapist in good standing with the CMTNB. Aaron acquired his initial degree in Psychology from Saint Mary’s University in Halifax, Nova Scotia. While acquiring the degree he also began practicing yoga on a regular basis. This laid the foundation and affirmed the undeniable connection between body and mind for him. Since Halifax, Aaron had travelled coast to coast, eventually finding his way back to Moncton, New Brunswick and becoming a Registered Massage Therapist. Always an active individual focused on health and wellness, not only for his own well being, but promoting it unto others as well. Approaching all situations with a holistic mind and approach. He truly loves aiding in the optimization of his clients health and helping them reach their goals. His background in Psychology is both influenced and complimented by his massage therapy practice. Skilled in Deep Tissue Massage, Therapeutic Massage, Sports Massage, Myofascial release and integration techniques, TDR-WM Tissue Distraction and Release With Movement (Cupping), and Yogassage. In 2013 Shawna took the plunge and left her 9 to 5 jobs to chase her yoga dreams in Thailand where she earned her RYT200. Since then, her intention has been to make her classes a combination of challenging, relaxing, accessible to everyone, with a dash of fun. To those who are feeling uneasy or uncomfortable about coming to a class, remember this; "you can only grow if you're willing to feel awkward and uncomfortable when you try something new". Brian Tracy.